The best coastal rowing boat for beginners, at the Coastal Rowing Centre is the LiteSport 1X (single). The LiteSport 1X is very stable and easy to row. A beginner, of almost any age, will feel safe in the LiteSport 1X as it is very stable; they can concentrate on developing the basic skills of using the sliding seat and other aspects of the rowing technique; with less fear of capsizing. The LiteSport 1X is 4.5m long and weighs 23Kg in carbon fibre version and 27Kg for the fibre glass version. This boat weight is without the wing riggers, which are only 3Kg. They can be put on and removed quickly with the simple pin release mechanism, making the LiteSport 1X much easier to handle, transport on the roof of a car and easier to store at home without the riggers. 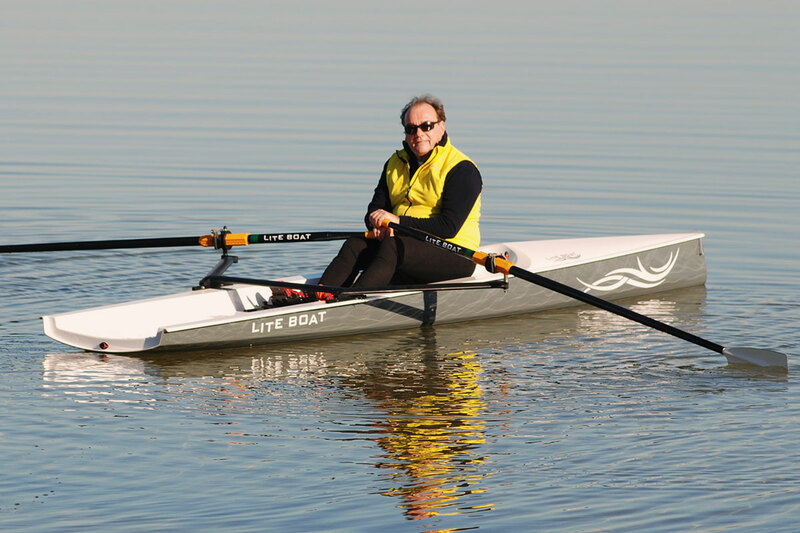 The Coastal Rowing Centre is the UK distributor for Liteboat. The LiteSport 1X is suitable for learning to row in safe coastal waters, also in rivers and lakes. It is also an ideal starter boat for rowing clubs who want to make rowing more accessible to people of all ages. Many schools have adopted the LiteSport as their starter boat.